Author David ZetlandPosted on 15-Dec-18 02-Dec-18 Categories Housekeeping1 Comment on I’m on holiday! An update on the massive damage from palm oil plantations in Indonesia. What’s driving the destruction? American biofuel policies. Amazon delivers fast and cheap, but that’s the price of heavy workloads and stress. A 10 percent price increase might mean the difference between their misery and a sustainable work environment. Investors might cause a real revolution in climate policy if Exxon loses this lawsuit on deceiving investors over its climate change risk. Cryptoprices are down 80+ percent from their high, but the “decentralized web” (Web 3.0) is carrying on. 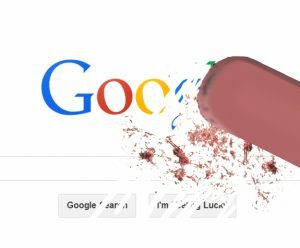 Here’s an interesting tale of a social media site that was shut down because it was not decentralized enough. Who earns the most? Not the selfish (defectors) or generous (cooperators) but the mostly but not entirely unselfish. According to my research [pdf], about 70-80 percent of people are in this last category. A bribery case highlights how Venezuelan officials are making $billions off government controls and currency manipulation. Citizens suffer. I thought I’d have this book out last May, but it takes a lot of time to choose 445 posts (out of 5,460), edit them into a manuscript, and then make editing corrections (with the help of nearly 20 people). 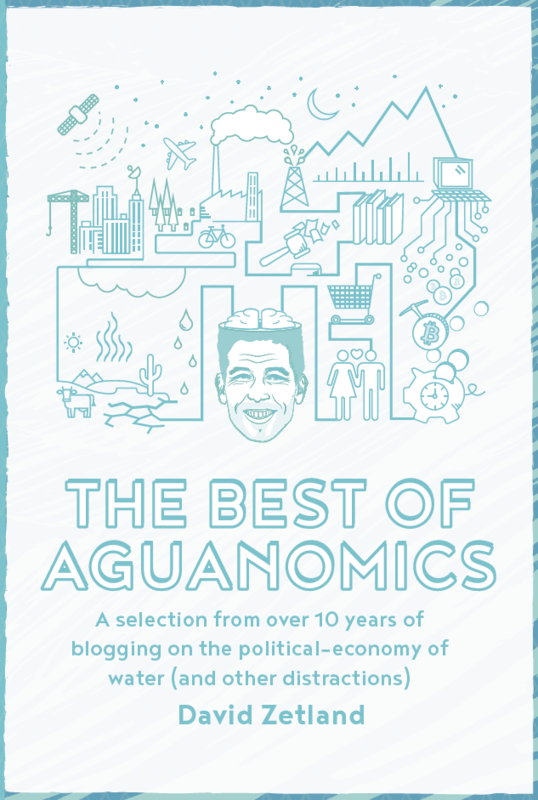 But now that process is done, and The Best of Aguanomics is available! The book is nearly 700 pages, but it’s not meant to be read cover to cover. I included posts if they contributed either to discussions on important topics or to exploring how I developed my thinking on ideas over the 11-year history of the blog. For examples of “important,” consider posts I wrote on agricultural policy, water auctions, important books, psychology, political corruption, academic failure, and many other topics (MOT). For examples of “development,” consider the collections I wrote on pricing water, climate change, and MOT. See below for MOT. My main goal with this book was to summarize the best out of a massive body of work. I think it’s best read as a sampler that gives you a new topic each day (the average post is 500 words). The book is available in paperback only on Amazon.com ($15.40), Amazon.co.uk (£12.80) and Amazon.de (€16.00). FYI, I am not providing kindle or PDF versions of the book because I want to encourage people to sit with a physical thing and think at their leisure about interesting ideas. How about a sample to give me an idea of MOT? This PDF has the table of contents, Introduction and bits of 2 chapters. Bonus: This spreadsheet has links to all 445 posts, grouped by chapter. You can use this as a “cheat” way to read the book, but I don’t recommend it because (1) there are so many posts and (2) I wrote a little bit about every post to put it into context (see the PDF sample). Sustainable (non-animal) foods are finally taking market share via taste and value (instead of guilt). This is a tipping point. How bad is it in Venezuela? So bad that the indigenous people (you know, the people who have lived there for thousands of years) are fleeing. That says something about their adoption of modern life styles (consumption), but also about the loss of their traditional means of mitigating risk. Bitcoin miners are on track to use all the world’s electricity. Something will change, but I have no idea. What happens when women win election? Good stuff. Keep going, I say! If you want to learn more about water (conflict) between Israel and Palestine, then I suggest reading this very interesting paper on wastewater management in the region. The authors are also looking for feedback, so free free to contact them! Plan on dying at 75. Your life will be more enjoyable and less hopeless. Related: Genes determine only about 6 percent of life expectancy.